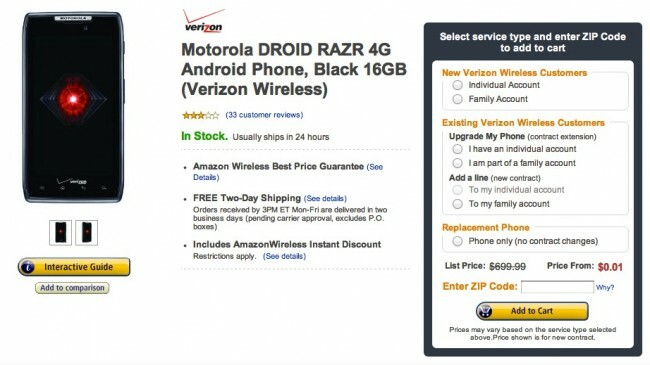 Amazon pinged us this afternoon to let us know that the DROID RAZR (16GB) is on sale for $0.01 or 1 penny. If you have an upgrade available, this includes you as well. New customers, upgrades, and added lines are all included in this promo, something rarely seen except on special occasions. While this phone may not include the 3300mAh battery of its younger brother, the RAZR MAXX, it is still one of the better phones on Verizon to this day. It also has a sizable developer community that grows by the day.